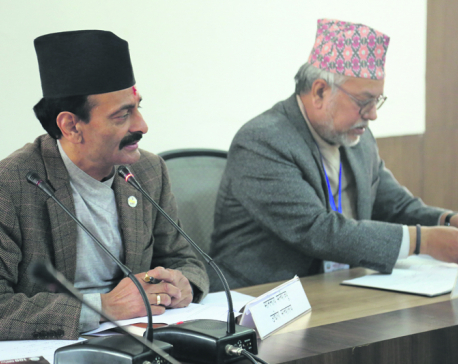 HETAUDA, Dec 11: Industry Minister Nabindra Raj Joshi has said the government was committed to providing subsidy to investors from private sector in establishing industry for economic prosperity of the country. Speaking at a program organized to mark 31st anniversary of Hetauda Cement Industry here today, Minister Joshi said the state had to suffer economic crisis for the failure to modernize state-owned closed industries. He however said the government has started a process to resume these closed industries with the involvement of various sectors. The Industry Minister also said the government was committed to creating employment opportunities for youths by making these industries self-reliant.